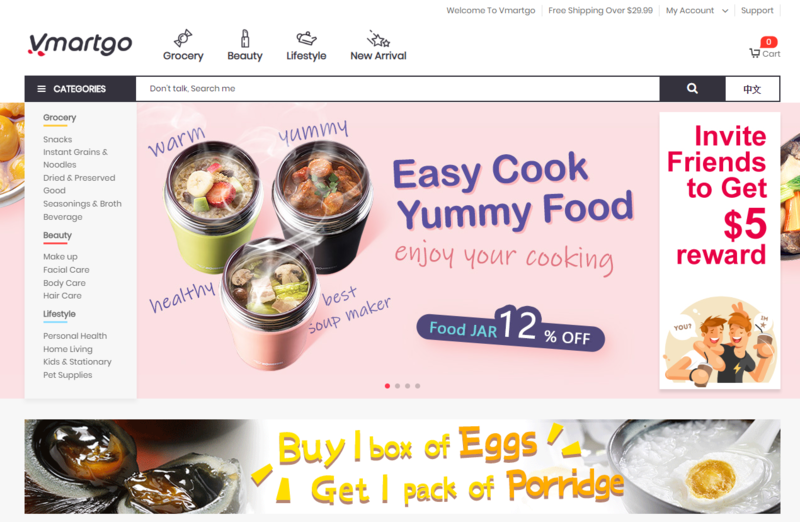 VmartGo is a shopping website selling Asian branded products across all the categories and price points in the USA. It has a huge collection of product selection from over 1000 plus well-established and emerging beauty and food brands. 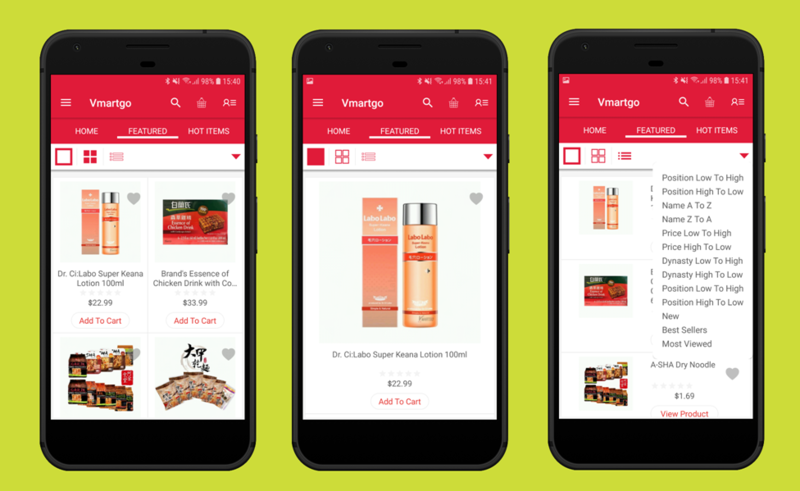 VmartGo is committed to creating an unmatched 'One-stop shopping' experience and being a premier destination for food & drinks, cosmetics, skin & hair care products, lifestyle products and more. All products are domestically and internationally sourced under strict corporate quality assurance guideline. 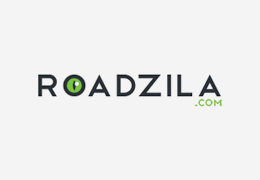 They have an ongoing dedication to trendsetting in speedy delivery, customer service, and e-tail technology. 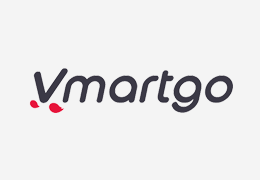 Frank Wang created a ticket regarding some presale queries and problems about building a mobile app for his Magento website, https://www.vmartgo.com/. It was built on Magento Community Edition version 1.9.3.1 and third-party theme Kuteshop was being used. 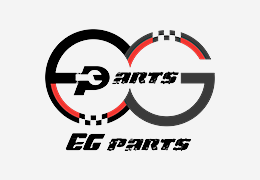 We added several 3rd party extension already, like search, reward point, shop by brand. and we definitely need to add more in the future. We need the source code and need support for further updates. I have modified some Magento core code. So are these requirements all possible? I mean first, we need to integrate all those extensions into the mobile app. And secondly, when you finish this app, we may need help to add more functionality after that. Also, I am wondering, will the app share the same database with our website? 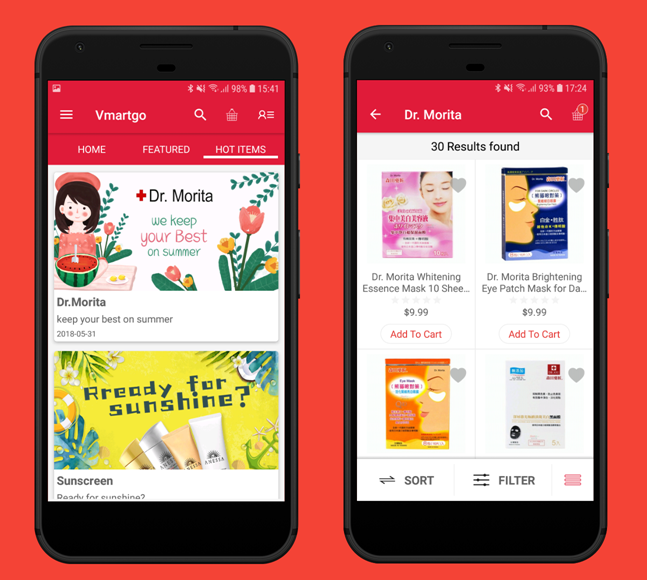 All the Mobikul mobile apps are fully customizable and support numerous third-party extensions installed on the online store. The additional features customized on the Magento platform can also be replicated on the mobile app via customization. We also offer source code of the mobile application, once it is finished as per the client requirements. Also, databases such as - products, customers, orders, categories, etc are synchronized between the webstore and the mobile app automatically. When the app is built successfully, you can personalize Mobikul app homepage using multiple configuration options available in the Magento Admin Panel. The store admin can manage banner slider images, featured categories, featured products, category images, and also manage push notifications. VmartGo mobile app project was taken over by the Linda Cai. Once the app was delivered, she requested few changes into homepage design. Multiple banners with 1box/2boxes/3boxes layout were customized. 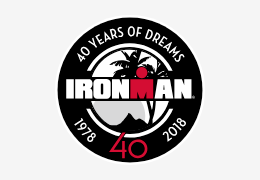 The customized banners were managed from the Magento Admin Panel and were displayed in a chronological order (date-wise). Additionally, three tabs were created on top - Home, Featured, and Hot Items. 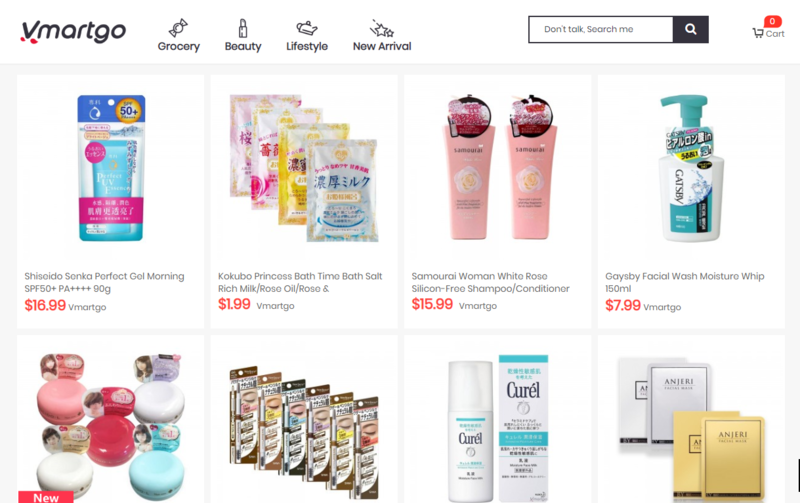 In the Featured section, all-time best selling products were shown in three layout views (Full Page, Grid, and List). Also, various filters were available as a drop-down menu for refining the products. 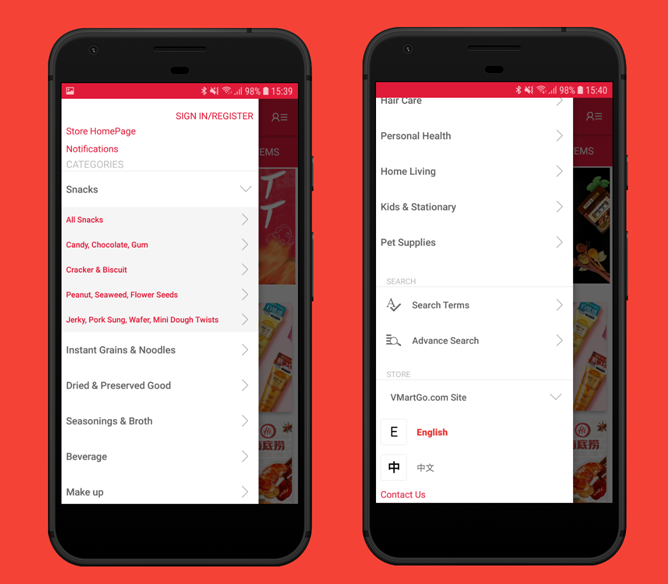 Under Hot Items section, multiple banners with a title and short description were shown. Each static banner was linked to a page showing related products to the banner. The special category menu options were redesigned as per the excel sheet provided. Mobile app categories and sub-categories structure were different from the online store. 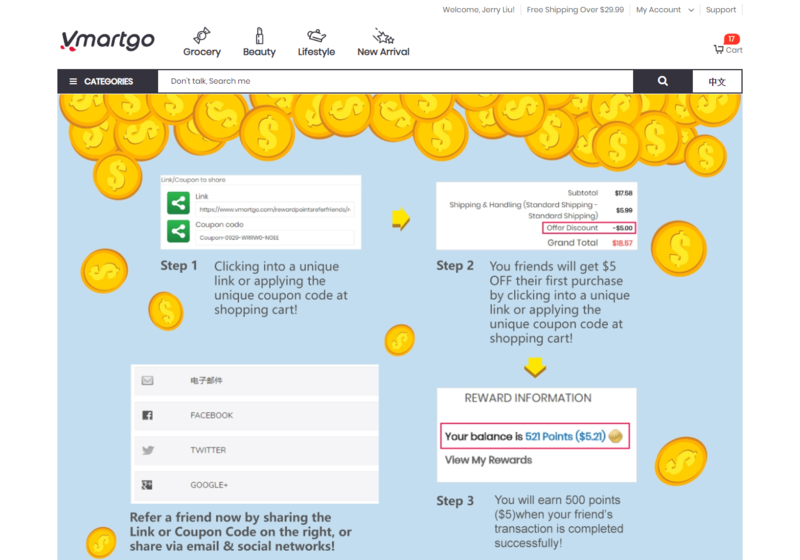 Referral Reward feature was available on VmartGo website, where customers can refer to friends, and referred friends will get $5 off their first purchase by clicking into a unique link or applying the unique coupon code at shopping cart. In this process, the customer will earn 500 points ($5) when his/her friend’s transaction is completed successfully. This feature was added into the mobile app as well where, the customers can share the referral code/link via email, Facebook, Twitter or Google+. 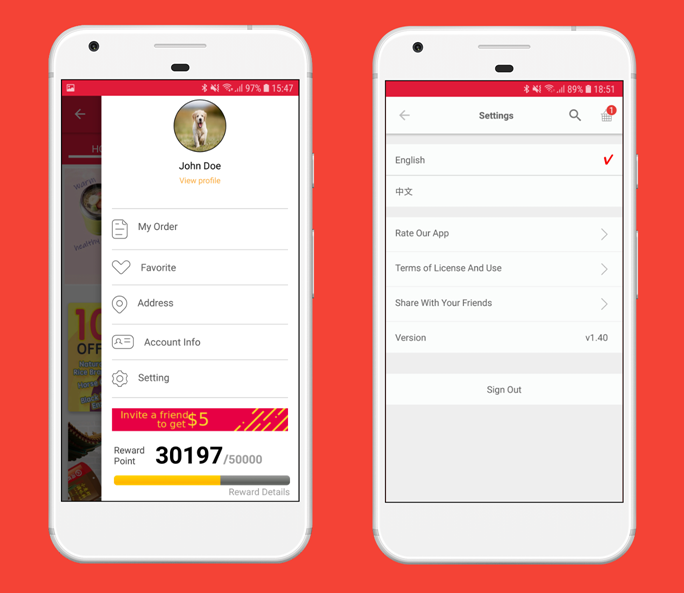 All the Mobikul apps are multi-lingual compatible displaying content in various language views as seen on the online store. 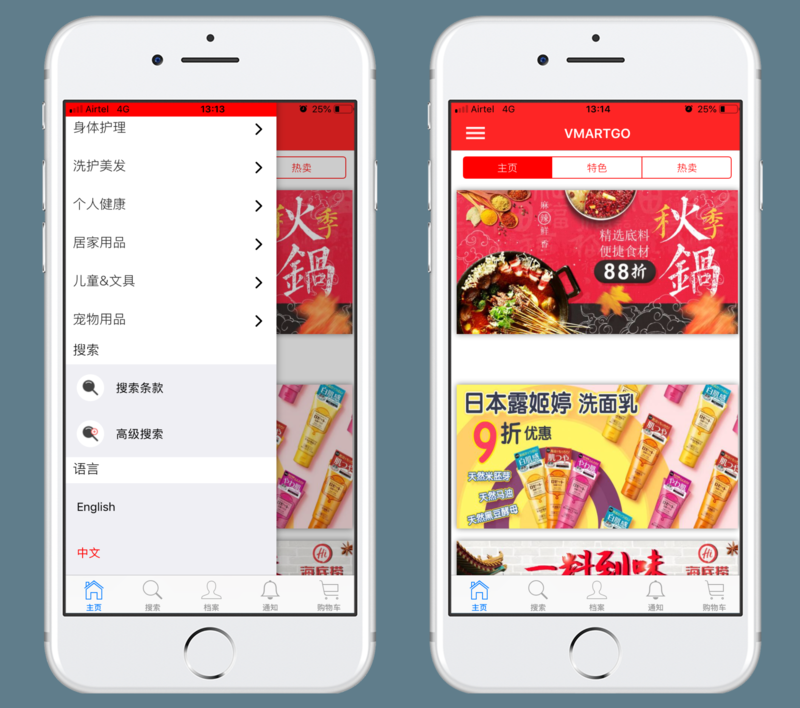 A customer can easily switch the language of the VmartGo app between English and Chinese. A customer's search history was saved in the app for allowing quicker search results for the second time. So when something is typed, then the particular keyword is saved for future reference. The second time when the user will click on search option then he can see the already searched keywords. In another customization request, Linda shared some mockup design for the Account Page section which needed to be redesigned. 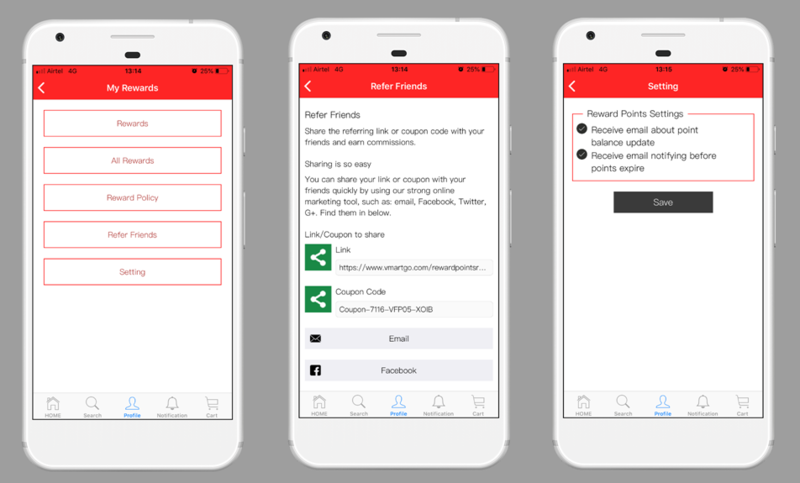 Cropping of profile picture feature, a complete change in the menu options, refer a friend banner, and reward points details features were added. Another third-party module, Split Shopping Cart by Vendor was integrated into the mobile app. In this, a new attribute called Vendor was mentioned in every product. So when customers get into the shopping cart page, all the products were grouped as per the vendor. This was done for managing the free shipping threshold set by each vendor. If the sum of products price from same is over the threshold, a customer gets the free shipping. Otherwise, a fixed shipping fee was charged to the subtotal of the vendor's products. All the shipping rules calculation was done in the backend, the customer only sees the result on the checkout page. Once project work was completed, we requested Linda to share some feedback out the work we did. She posted the review on the popular website Trustpilot. 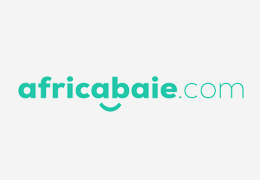 Here customers from all over the world post honest reviews about the online businesses. Good Service We are in China. Even though there is some time difference, they still try to work with us hard. 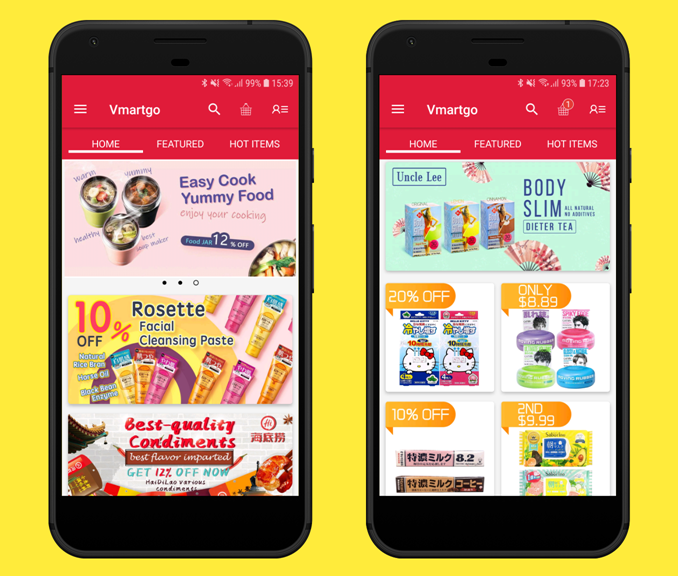 You can check out and download the published VmartGo apps on your Android and Apple devices and start shopping.